The Ugly Club gathers to celebrate the 30th anniversary of The Terminator. WARNING: A significant portion of this podcast concerns time travel. Terminator and Terminator Two run together nicely. It's hard to watch one without wanting to watch the other. I do wonder what it's like to have seen Two first and then go back to watch Terminator. 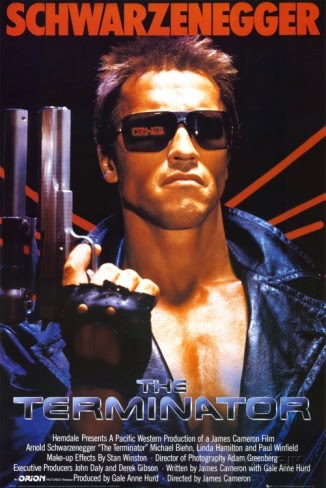 Is it possible to see the Terminator the same way? Also does this make Sarah Conner the first female action hero? I think she beats Sigourney Weaver by a few years. Is James Cameron the forerunner to Joss Whedon? There is another low budget film which was incredibly successful, spawned numerous sequels and launched the career of another muscle bound steroid injecting movie star that perhaps The Ugly Club would consider doing a similar program about.